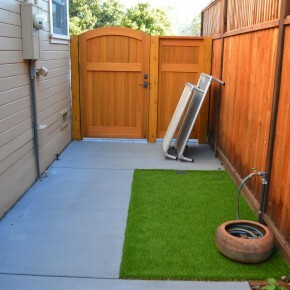 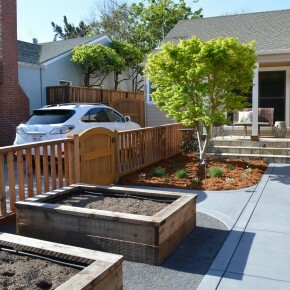 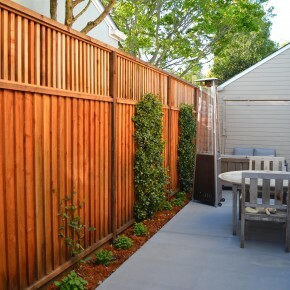 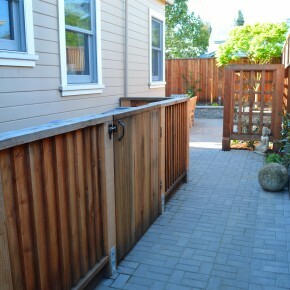 We just wrapped up this front and back yard installation in West Petaluma (see progress photos here). 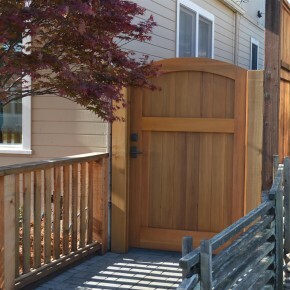 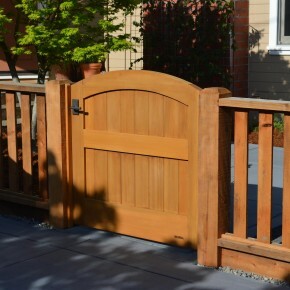 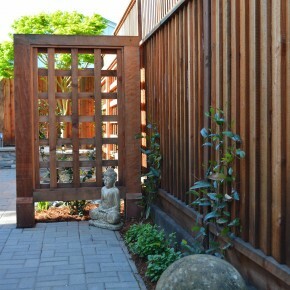 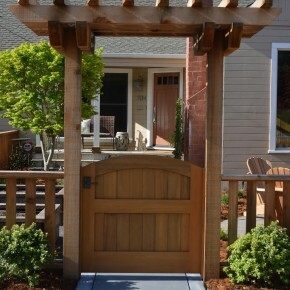 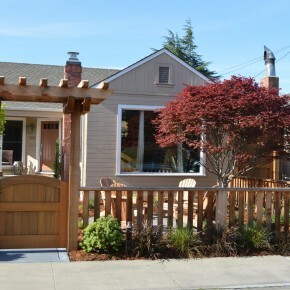 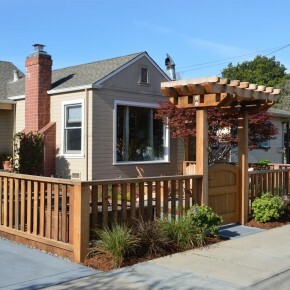 The project featured a lot of interesting custom woodwork- new pergolas, all new fencing, and custom Cedar accent gates. 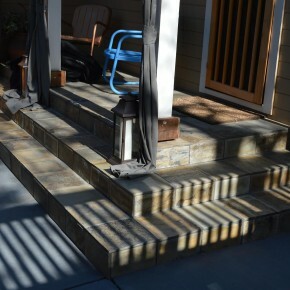 These complimented all new paving- a new colored concrete driveway, paver seating area, and rear paver patio. 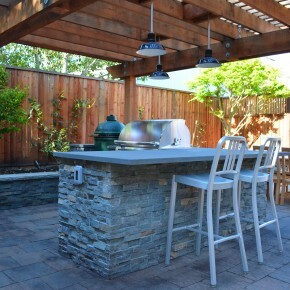 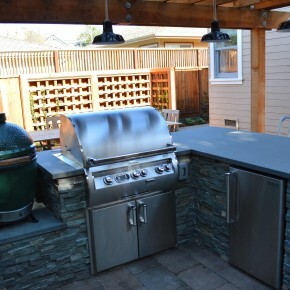 Accent lighting and a polished granite water feature served as accents, while a backyard BBQ included a new grill, fridge and Big Green Egg smoker. 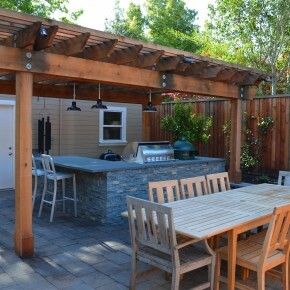 California real estate is expensive…that’s why expanding our living space outdoors was so critical to my husband and me. 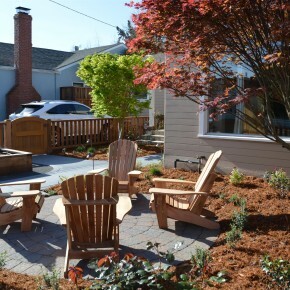 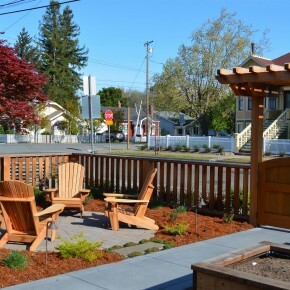 We hired O’Connell Landscape to basically overhaul every square foot of our yard. 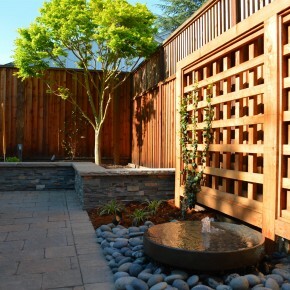 This included hardscape, plantings, outdoor kitchen, water feature, drainage, lighting, fencing, gates and more. 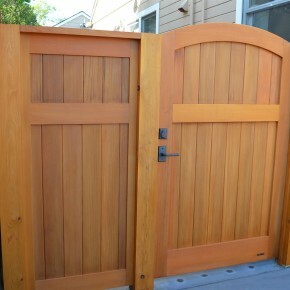 The end result exceeded our expectations and is a true example of craftsmanship you just don’t see that often. 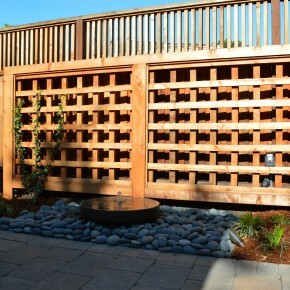 Michael was meticulous with the details and was a real pleasure to work with. 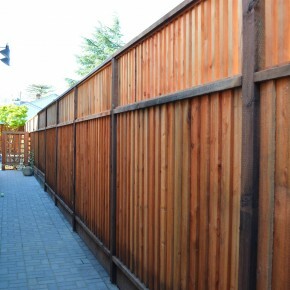 Backing him up is the most respectful and hard working team we’ve experienced. 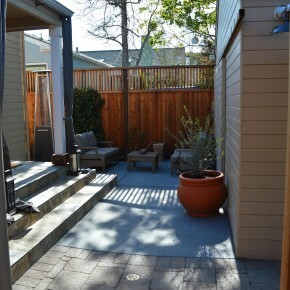 At the end of every day, we walk out into our yard and pinch ourselves! 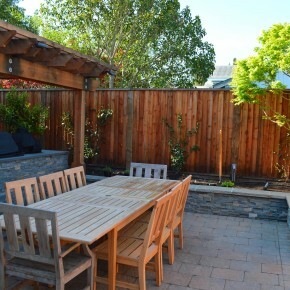 Bottom line, I wouldn’t hesitate to recommend O’Connell Landscape.